The issue manifests simply: The reported signal strength on Samsung's Galaxy S10+ is reduced compared to other devices, with devices on some carriers such as Sprint being affected more than others. Even customers of AT&T and T-Mobile, however, are occasionally reporting reduced signal strength. Furthermore, in our own tests, merely holding the phone "wrong" while it isn't in a case can make a big dent in signal strength. Signal strength on my S10+ held in the same location in the same way in a case (left), and outside of a case (right). Note the 13 dBm difference. 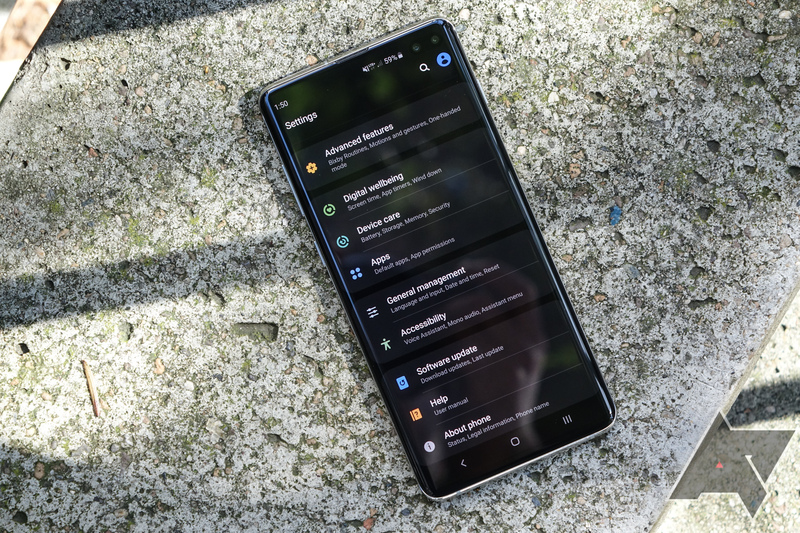 We've anecdotally noticed intermittent issues with cellular connectivity on the S10+ ourselves, and a thread specific to the problem on Samsung's forums has taken off, with 246 replies at the time of writing. Sprint's device support library even claims that "the issue will be resolved with an upcoming software release," though we aren't sure how that may affect device performance on other carriers. 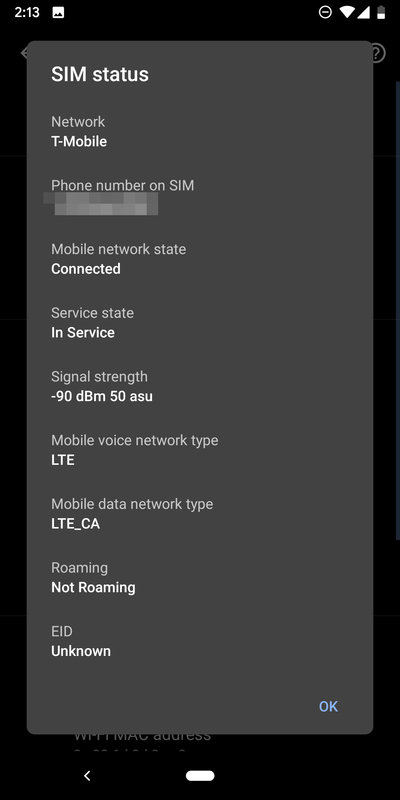 Some have been able to fix the issue on Sprint temporarily by disabling Band 41 and 25 support on their devices via a hidden Data Programming menu (instructions for the intrepid available here). Given the specificity of the frequencies for the Sprint-related fix, the issues on other carriers could be a separate problem. In our own tests, the S10+ has a generally reduced signal strength when compared to the Galaxy S9, Pixel 3, and OnePlus 6T. 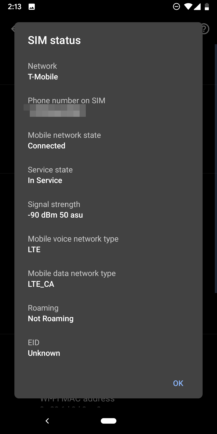 Observed signal strength outside of a case while being held on the S9 (left), Pixel 3 (center), and OnePlus 6T (right). Same location as previous S10+ tests. Although two of us here at Android Police have noticed problems in our own testing, performance seems dependent on location and frequency. Those of us on T-Mobile or AT&T using Band 12 had more trouble than those on T-Mobile in an area using Band 2. It's also possible the S10 and S10e may be affected, but most of the reports we've seen and our own anecdotal experience would indicate that, if they do have the same issue, it isn't as bad or widespread. We have reached out to Samsung for comment twice, but none was forthcoming. Hopefully the update Sprint is anticipating will resolve the issue for other carriers as well.